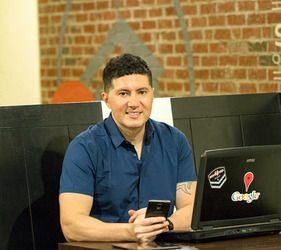 In this episode, host Neil Howe talks with The Web Stuff Guy, Ish Laos about how businesses can show up on Google and other search engines to increase traffic and sales. Ish helps small business owners and coaches them on what it takes to establish a good online web presence. He has been featured on Voyage ATL magazine, has won several awards as one of the top web design firms in Atlanta, and also runs a top-rated virtual tour company for real estate and brick and mortar businesses. Ish ... See More can help his clients with anything from logo design, SEO, Reputation Management, Virtual Tours and everything in between. He sees himself as a consultant by always educating his clients on what is new and needs done for digital marketing.